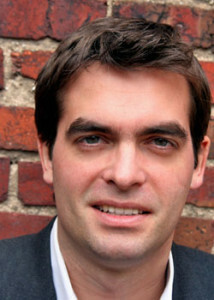 Ulrich Boser is a senior fellow at the Center for American Progress, a think tank dedicated to improving the lives of Americans through ideas and action. He analyzes a variety of social policy topics and is particularly interested in education and criminal justice issues. Prior to the Center, Boser was a contributing editor for U.S. News & World Report, special projects director for The Washington Post Express, and research director for Education Week. His work has appeared in The New York Times, The Washington Post, Slate, and Smithsonian. He is also the founding editor of The Open Case, an online criminal justice magazine and currently serves as the research director of Leaders and Laggards, a project that evaluates state systems of education. In February 2009, HarperCollins published his book The Gardner Heist: The True Story of the World’s Largest Unsolved Art Theft, and it received glowing reviews in The New Yorker, Vanity Fair, The Washington Post, The Boston Globe, USA Today, and the Associated Press, among others. The book spent more than a month on the Boston Globe bestseller list and became a national bestseller. Boser’s writing and research has received a variety of awards and citations, and Washingtonian magazine recently described him as “a writer to watch.” He has also served as a commentator for CNN, National Public Radio, and The New York Times. /One/: What piqued your original interest in investigating the theft of the paintings at the Gardner Museum? Ulrich Boser: In December 2004, I began working on a story for US News & World Report about Harold Smith, one of the world’s most successful art detectives. He had recovered lost Renoirs, exposed forged Da Vincis, and cracked the country’s largest gold robbery. Smith worked the Gardner heist for years. But within weeks of our meeting, Smith died of skin cancer, and after his death, I decided to pick up where he left off and search for the lost paintings. /One/: What are some of the themes of your book? You bring to vivid, trenchant life the theft of the paintings, down to the slice of the knife to wrest the Rembrandt canvas from its frame. There seems to be a tension between beauty and vulgarity in this theft; the love of art and the love of money; the timelessness of the museum and the fleeting nature of both life and theft. Can you articulate your thoughts regarding these polarities and how they might compel various forces in your book? UB: I don’t know if I can identify the themes that run through the book. I think that’s for readers to decide. That said, I think the history of Boston, the history of the museum, the history of art theft, all have an upstairs/downstairs, high-society/low-society tension, and I wanted to highlight that—I think it’s a key part of the story. I also think that the Hollywoodization of museum crime prevents recoveries. People often glamorize art theft. They think that art thieves are sly and skillful, Pierce Brosnan types with a passion for Impressionist paintings. But the reality is far from it, and the people who steal art are largely run-of-the-mill crooks—aging drug dealers, out-of-work bank robbers, ex-cons looking to pay the rent. They want the cash. They steal art because it’s easy. /One/: Did you see these themes at play in the art and artists themselves? You briefly mentioned Rembrandt’s moral failings despite the overwhelming moral pulse most can feel in his art, and Vermeer’s financial problems have been well documented—he died at age 40, destitute and reportedly a mere shadow of himself. Is the contrast between the impoverished, suffering artist and the timelessness of art part of the final painting’s appeal, both in your imagination and in the popular imagination? UB: Yes and no. I think the tension is there. No doubt. You cited some good reasons. But I also think that these works stand on their own. They are masterpieces regardless of whether their creators were poor or rich or criminals or saints. /One/: The twentieth-century philosopher Walter Benjamin once feared the potential lost “aura” of original art in an age of mechanical reproduction. In the case of the Gardner paintings, which are truly lost and available only in mechanical reproduction, what do you think this aura means to art lovers? What is lost by getting to see only reproductions and not having access to the originals? UB: Great question. And so, yeah, I think people often forget how important these paintings are. I mean, there are so many reproductions out there—it’s so easy to become numb to the magnitude of the heist. But these works are masterpieces because of the details, and the details are lost when you steal the original. /One/: In the book, you are clearly motivated to find the paintings in part because there is a hefty $5 million dollar reward for their return. And yet near the end of your book, you concede that your growing obsession with the case might have less to do with tangible results—that the mystery itself has lured you in with a pull that many artists must experience while creating their works, and that many can attest to while viewing a Vermeer or Rembrandt painting. Can you explain this emotion that you felt and that you witnessed in others who were searching for the lost paintings? UB: The Gardner case does have a lot of strange angles. I ended up chasing down all sorts of curious tips and angles. I interviewed all kinds of people. I hired private investigators. I visited prisons. I once flew to Ireland to see if Boston mob boss James “Whitey” Bulger might have the art. It has been nearly 20 years—and the masterpieces are still missing. And I think that’s the rub. The case is a mystery, an unknown, and that means that almost anyone could be a suspect, from a retired guard to an ex-curator to a guy who lived near the museum for a few months in 1990 and seemed to come into some money a few years later. I think that’s what attracts so many people to the case. That and—of course—the $5 million reward. /One/: Did the work become more meaningful to you by its absence? There is a long tradition in art of exploring this theme. Consider this poem by Emily Dickinson, which asks if yearning is better than having: “It might be easier/To fail with land in sight/That gain my blue peninsula/To perish of delight.” Did art itself become more meaningful to you during the course of your research for this book? UB: Absolutely. I often had a John Steinbeck quote rattling around in my mind. I think it goes something like this: “Wanted loses value on being had.” That said, I want to see those paintings back at the museum. In this case, at least, yearning is not better than having. /One/: How did you change over the course of the book? UB: Hard question, as that is essentially the story of the book. I mean that’s the narrative arc. /One/: Many art museums exhibit work taken during World War II, and of course famous pieces like the Elgin Marbles, taken from the Pantheon, are highly controversial in terms of their provenance, having been lifted in imperial times from the original locales. Do museums take into account the provenance of their works and how they are attained with more acuity these days? UB: Yes, museums and galleries are working a lot on these issues. Yet, the art underworld remains huge—and the Art Loss Register’s database of stolen art has swelled over the years to include 609 Picassos, 181 Rembrandts, and Caravaggio’s priceless masterpiece Nativity with San Lorenzo and San Francesco. According to experts, the stolen art trade is one of the world’s largest black markets, a $4 to $6 billion illegal business. This entry was posted on Monday, April 19th, 2010 at 4:02 pm	and is filed under Interviews. You can follow any responses to this entry through the RSS 2.0 feed.